Double plug sockets fitted outside of a property in Grays, Thurrock. A fairly simple and straight forward installation completed in approximately half an hour. 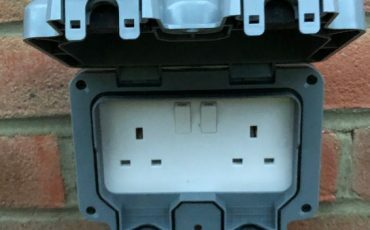 Outside plug sockets can have a number of uses, whether it be to make gardening easier or for the safe and secure hanging of Christmas and Halloween illuminations. 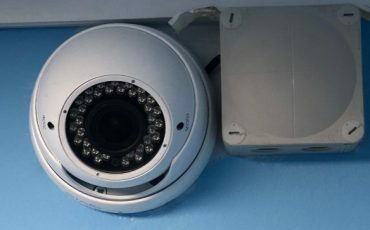 The customer was very happy with the finished result and also reassured as all of the work completed is covered by the NICEIC Platinum Promise 5 Year Guarantee. The NICEIC Platinum Promise is a guarantee offered to all customers of NICEIC members ( such as Leigh Electrical ) which covers the electrical work completed for a full five years following completion. 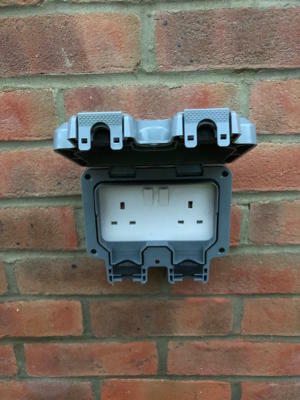 Outdoor plug sockets can typically be fitted on a same day / next day basis and as our teams of electricians operate in the Grays area, 7 days a week, you should not hesitate in giving us a call today on 01702 873350. 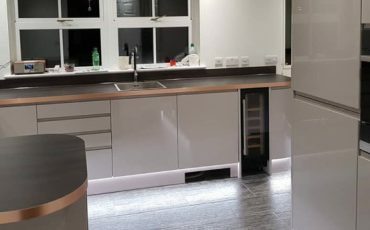 Not only do our electricians operate 7 days a week, we also work evenings and if required nights, to ensure our clients can have external electrical works completed at times convenient to themselves. Alternatively, if you are viewing this site outside of office hours please submit a contact form below and one of our team will contact you via your preferred method the next working day. Alongside our external plug socket installation service, Leigh Electrical offer a full selection of domestic electrician services. 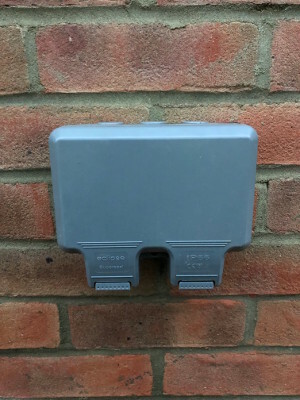 Outdoor Plug Socket Installs Grays – Why Leigh Electrical? Leigh Electrical have successfully completed hundreds of plug socket installations in Grays and the surrounding Thurrock and wider Essex area over the past 50 years. A selection of reviews for our service from previous customers are freely available to view on our review pages on both Trustatrader and Checkatrade. All of work is covered by the NICEIC Platinum Promise and we are also members of Trustmark. All of our quotes for plug socket installations are provided free of charge and with absolutely no obligation. Please call us on 01702 873350 to discuss your options further. External Plug Socket Installation in Grays, Essex. To book a free quote for your plug socket installation, please call us directly on 01702 873350.